Get into the spirit of Christmas by making your own unique and eye-catching holly wreath for your door! Starting with a bacon bap or vegetarian equivalent within our Tea Room and Restaurant, the workshop will then move on to one of our production areas, so it is advisable to wear warm clothes!! All required materials are supplied for you to be able to create your very own Holly wreath, but please feel free to bring your own secateurs, gloves or any additional materials you would like to use. 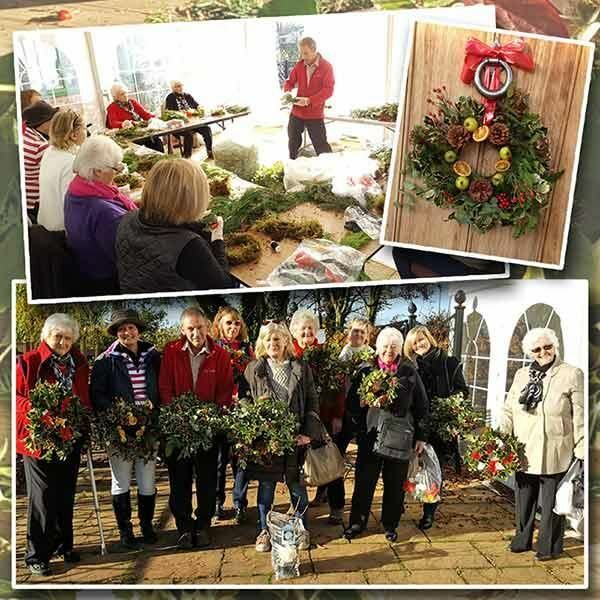 A member of our friendly and knowledgeable team will then guide you through the stages of making your wreath, which you can then take home with you. Includes morning coffee, bacon bap (or vegetarian equivalent) and materials.